DesktopSnowOK adds a little winter magic feeling (up to 2000 snow flakes) on your Desktop. Can also add flowers, stars or leaves. How to extract: Download the ZIP package and extract to a folder of your choice. Launch DesktopSnowOK.exe or DesktopSnowOK_x64.exe. Neat little harmless program-wish it had skulls and other creepy stuff falling,maybe they could make a halloween version? It did nothing spectacular for me,but I had my sister in arizona DL it and she went gaga over it!Must be a girl thing!Nice Job. 12-Ants or more for your desktop. Itching is not excluded. Watching the little rascals and have fun. How to extract: Download the ZIP package and extract to a folder of your choice. Launch 12-Ants.exe or 12-Ants_x64.exe (for 64-bit OS). 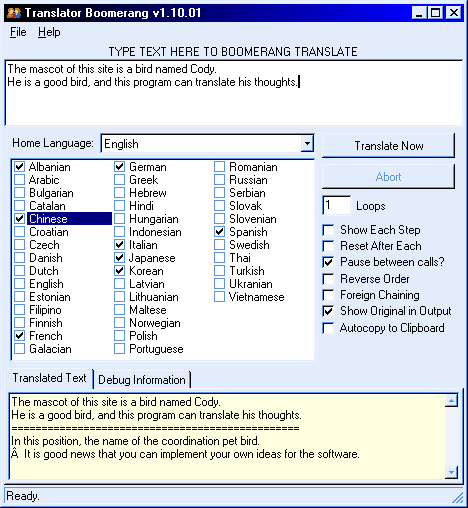 Option to close the program from the tray menu. Minor corrections and further adjustments. @mrpink: you could use JauntePE to take care of those registry keys; or some other wrapper. 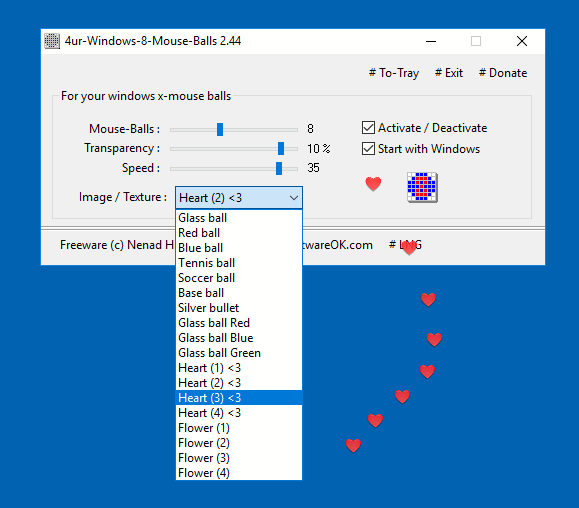 4ur-Windows-8-Mouse-Balls generates 8 or more balls to follow the mouse pointer on your windows desktop. How to extract: Download the "Portable" ZIP package and extract to a folder of your choice. Launch 4ur-Windows-8-Mouse-Balls_p.exe or 4ur-Windows-8-Mouse-Balls_x64_p.exe (for 64-bit OS). Bug fix in detect of default system language.